Hair color for long hair takes time. Corrective hair color for long hair needs to be done with care. If you are contemplating changing your hair color, it is important to work with a hair colorist that has a strong background in hair color. Maybe this is stating the obvious, however, the fact of the matter is that my business consists of correction work ; in general. Maybe you are reading this and have long hair? If you hair is long naturally, without hair extensions, that is awesome! I completely understand how long that it has taken for your hair to be as long, as it may be. On average, hair has the ability to grow about 1/2 inches a month and or 6 inches a year. As the hair gets long or longer, the porosity (condition/health) of the length can change from simply being older, and the damage from heat styling products. Long hair needs to be handled with attention and care when you choose to get it colored. The new growth (hair at the scalp) will automatically respond differently to hair color, than your mid shaft and ends. There is much more that goes into coloring longer hair than you might think. 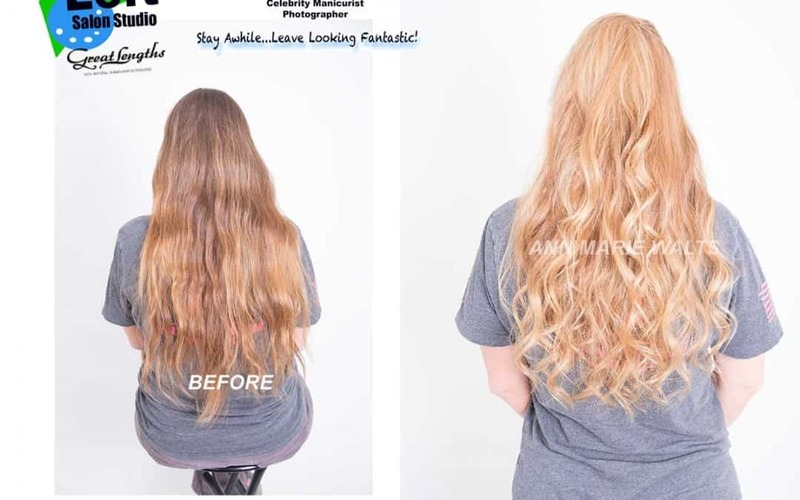 Your professional customized hair color will have really even results because we have hair color chemicals that, simply, are not available at the drugstores. Ann Marie Walts will respond to your inquiry shortly.